Now here is something that didn’t exist when I was home with babies – Stars and Strollers, the afternoon matinees just for parents ( and grandmas, and eager aunties, and friends) and – get this – babies. My daughter, Zoe, and my oh so adorable one-year-old granddaughter came to visit and we decided we had to give this a try. We picked a movie that we really wanted to see (maybe that was a mistake), which unfortunately was only playing way, way across the city (perhaps our second boo-boo) and headed off to meet a friend of Zoe’s and her one-year-old little guy, and to observe the darling chaos of it all. 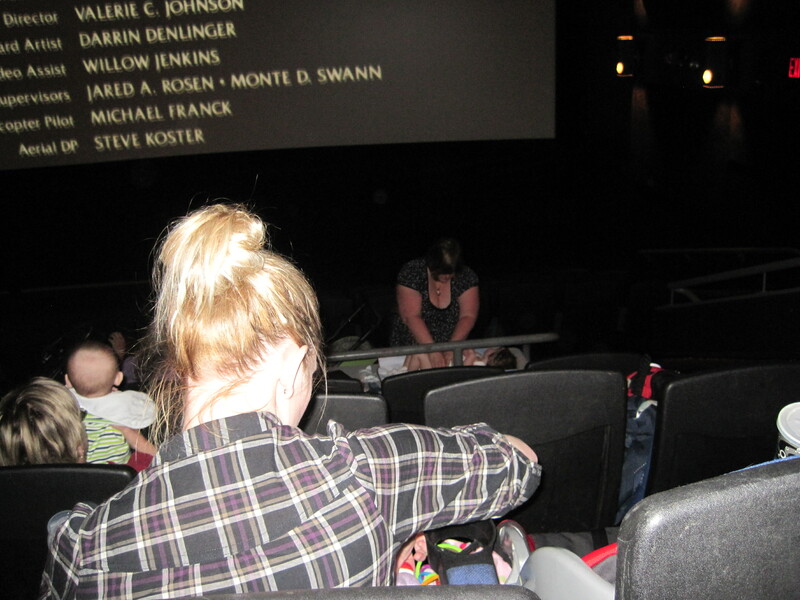 The movie was Bridesmaids and for a Wednesday afternoon there appeared to be a pretty big turn out of mostly new mommies and teeny weeny babies. I noticed a few grandmothers in the crowd, amongst the stroller pushers. My youngest daughter, Lily, wanted to see the movie, but not as much as she wanted to hang with her out-of-town tiny niece at the theater, so she was with our group, as well. The lobby was a stroller-a-thon though the two women purchasing tickets ahead of me were being charged regular price for not having a under two-year-old with them (which is what the fine print on the Cineplex web site says would happen), but they successfully argued they should be entitled to the same discount the rest of us were getting for the inconvenience of being surrounded by all those babies. 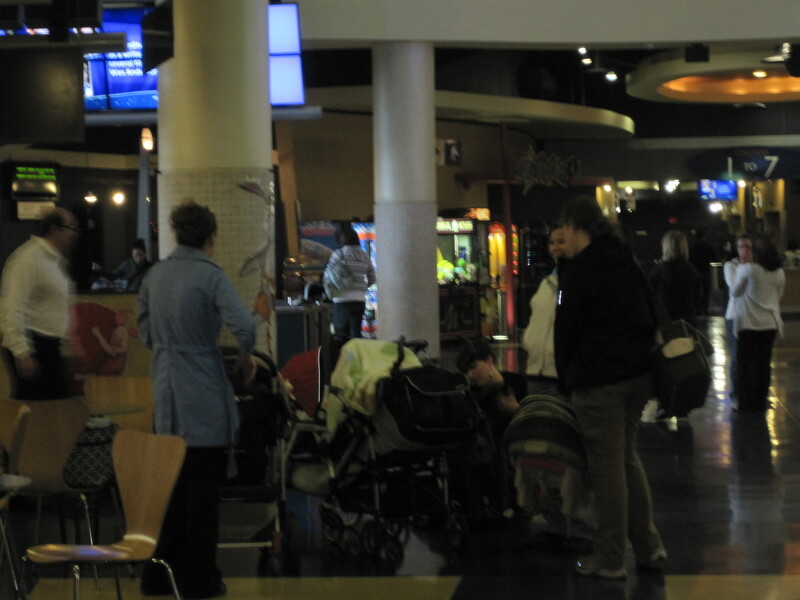 Now I have to say right off, if they really came to enjoy the movie, the constant interruption wasn’t worth the discount, but if they came to take in the sight of forty plus moms trying to take pleasure in a movie while nursing and changing and soothing and bouncing forty plus babies – now that was worth the price of admission. Our driving across town had given grand-baby the chance for a solid nap so after a short period of calmly taking in the dimly lit room full of her baby peers, and then staring at the larger than life characters of Annie and Lillian on screen, she was ready to sit on mommy’s head, or travel from mommy’s lap to grandma’s lap to auntie’s lap and back again, while experiencing the new sensation of being fed little iddy bits of popcorn. None of the babies cried for very long, rather they all took turns at crying for short periods of time. Zoe and her friend were critical of the character development in the zany comedy, but who the hec knows how they could have possibly have followed the plot lines while keeping their babies entertained – though they and their movie going peers were all learning to be the mothers-of-all multi-taskers. 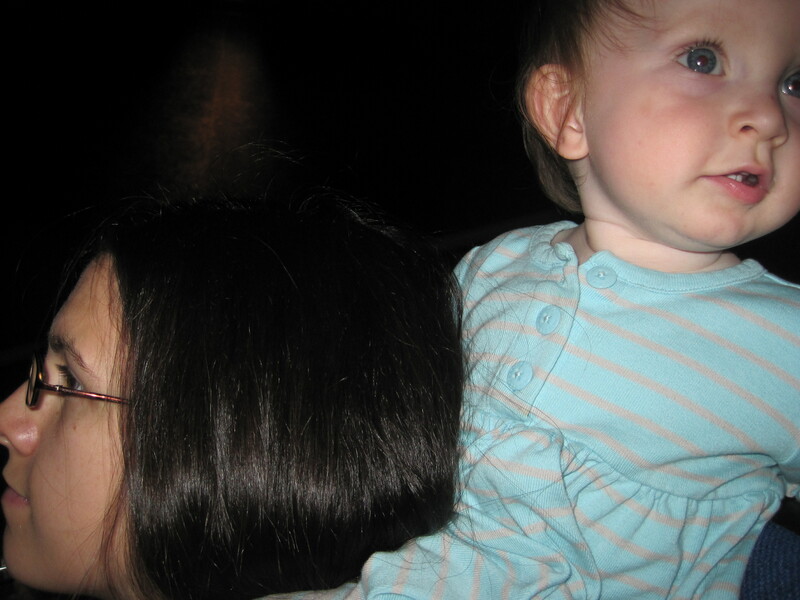 At the front of the theater was a changing table, a slightly lit-up spot where you would not miss a second of the soundtrack, but the audience had a clear view of you tending to your infants soiled diaper needs. We noticed only one man in the entire theatre, and when he was the one to come stand in that light and expertly change his baby, I know most the moms were watching this macho figure in his baseball cap rather than Kristen Wiig and Maya Rudolph and wondering if their own baby-daddy would be so bold? Stars and Strollers was an event, a gathering, shared camaraderie amongst a group of pretty new moms, allowing themselves – despite the squawking and wiggling of their infants – a bit of entertainment on a weekday afternoon. 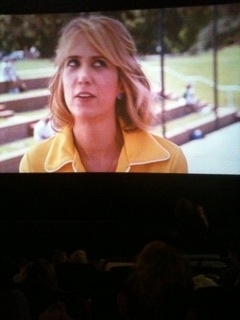 But I think I’ll go see Bridesmaids again – because I don’t feel like I’ve seen it yet. Gail gave me the info about your blog – I have enjoyed reading – it doesn’t seem possible that the crazy little sister is now a grandmom – no way!! It is a very long time since Woods Lake days.